Hey all! Misha here. Remember me? Yep. I’m still around. Nope, the shoes haven’t yet caused my demise. I am just incredibly busy at this time, since our first big shipment has arrived and we’re unpacking it. 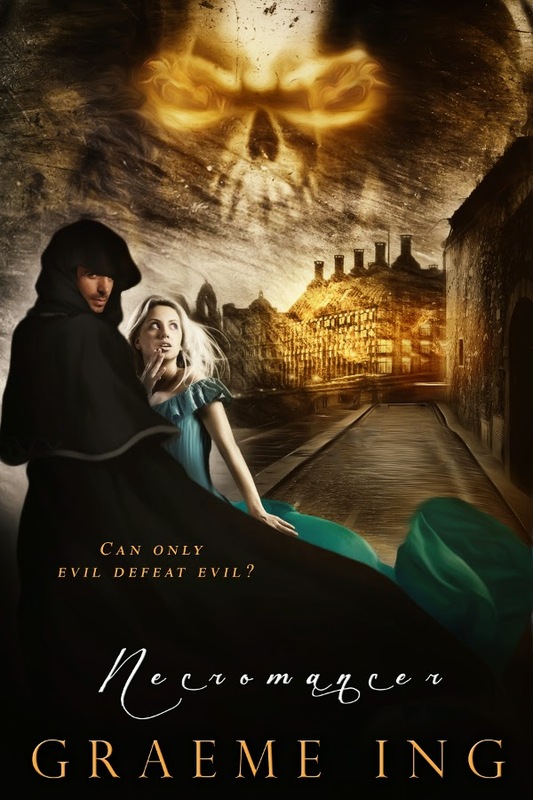 Still, I’m taking break from all that to host my Untethered Realms buddy Graeme Ing for an interview as part of his blog tour for his newest book. Welcome to the Five Year Project, Graeme. First things first. Tell us a bit more about yourself. Thank you for inviting me, Misha. Born in England, I’ve been living in San Diego in the U.S. for 18 years now, with my wife, Tamara, and six cats. I must say that the climate here is very agreeable. I’m a software engineering manager by day, but my passion is writing and exploring. Apart from traveling the world whenever I can, I’m an avid mountaineer (from my armchair! ), and student of famous explorers. I dabble in astronomy, piloting, map making and navigation. It should come as no surprise then, that my favourite part of writing is creating exotic worlds and characters. Speculative-fiction is a real passion for me. Another cat person! (I have five cats.) How did you get into writing originally? I’ve been scribbling stories since before I was a teenager. I even typed screenplays on a manual typewriter. I blame my mother for introducing me to Tolkien and McCaffrey at an early age! Seems like being a storyteller was my destiny (said in my best Darth Vader voice). It’s a shame that I never did anything with my writing until about eight years ago when I finally decided to pursue being a published author. I’ve got a lot of ground to make up. Thankfully I have hundreds of plot ideas. Sounds a lot like me, growing up. What inspired you to write Necromancer? Great question. For years I’d had this idea of a girl wanting to be a necromancer. At the same time, I’d developed this sarcastic character who believed he could defeat anything. His voice was so clear in my head, begging to be written. Since one of my favourite fantasy series are Fritz Leiber’s Lankhmar books, I wanted to design a brooding metropolis that I could write lots of books about. Then, while finishing my first book, I had this idea for a secret society holding the city to ransom. All these pieces slotted together rapidly to become Necromancer, and if you read it then you’ll see how. 🙂 Many of my book ideas come to me in pieces like that. I plan to write more books in this city, some about the characters from Necromancer, and some about totally new characters. I just love that aspect to writing fantasy, creating a setting that seems to come alive on its own. What’s your favorite thing to focus on in world building? Now please do tell us what Necromancer is about and where people can find it! Perhaps I can cheat and include the book’s blurb? A primeval fiend is loose in the ancient metropolis of Malkandrah, intent on burning it to a wasteland. The city’s leaders stand idly by and the sorcerers that once protected the people are long gone. Maldren, a young necromancer, is the only person brave enough to stand against the creature. Instead of help from the Masters of his Guild, he is given a new apprentice. Why now, and why a girl? As they unravel the clues to defeating the fiend, they discover a secret society holding the future of the city in its grip. After betrayals and attempts on his life, Maldren has reason to suspect everyone he thought a friend, even the girl. His last hope lies in an alliance with a depraved and murderous ghost, but how can he trust it? Its sinister past is intertwined in the lives of everyone he holds dear. Can only evil defeat evil? It has a host of nasty creatures lurking in and below the streets of the city. Being a Necromancer certainly is a dangerous job! But it’s not all grim – there’s some romance in there too. It’s out from August 23rd on all ebook formats and paperback. Just check your preferred online retailer. Great! Let’s finish up with something positive. What’s the best piece of writing advice you have for new writers? Write as often as you can, no matter how little, even 500 words a day. Don’t listen to the naysayers, don’t listen to the myriad of internal fears (all authors have them, you’re not alone), and don’t get dismayed by slow progress, other people’s success or things like marketing. Just write. Write for yourself. Write what you like to read. You can do it. Just keep writing. Good luck, and tell me when your first book comes out! Thanks so much Graeme! It’s always a blast to chat with you. Graeme Ing engineers original fantasy worlds, both YA and adult, but hang around, and you’ll likely read tales of romance, sci-fi, paranormal, cyberpunk, steampunk or any blend of the above. Born in England in 1965, Graeme moved to San Diego, California in 1996 and lives there still. 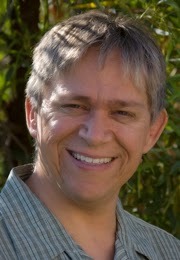 His career as a software engineer and development manager spans 30 years, mostly in the computer games industry. He is also an armchair mountaineer, astronomer, mapmaker, pilot and general geek. He and his wife, Tamara, share their house with more cats than he can count. Let’s talk about world building. But for today, I want to write about plot. How would it be relevant to the plot? The thing is, I know that nothing technically has to be relevant. Some people make a lot of money off books with slow plots. I can’t slam them. Personally, I like my plots thick and fast. Rich with detail, yes, but not so as to yank me out of the growing story in order to describe the finer details of a given culture or political system or whatever. To me, writing a fantasy world is pretty similar to characterization. If I write a character, I usually know millions of little details about him or her, without them ever making it into my book. Yes, it’s super important that I need to know them. The reader, however, only needs to know enough for them not to wonder what the heck is going on. It’s precisely the same with the world-building. For the Doorways series, I know enough about the world’s history to write a whole other series just about that. Heck, I know enough history from a single one of the world’s country to write a series. And there are four. The thing is, if I put all of that into the books, I’d swamp the reader with information which (while it could be argued that the history is relevant) isn’t strictly necessary to put them through the plot. I actually take it further. I don’t explain the history. I don’t explain the political systems. I don’t spend pages and pages of description. What I do is to explain what’s needed right now and trust the reader to put together the full picture themselves. Yes, some people might grow impatient, because it might take a few books to build a complete picture. But the pay-off is that my plot moves along at a faster pace. But like I said, my way isn’t the only way. Any writer working on a spec fic novel eventually needs to decide on an approach to the world they’ll develop. 1) Do you want to showcase your world as a character in itself? 3) Which factors of the world determines your plot and characterization? If you have some macro issues coming down on your characters (say a world where tributes are sent every year to kill each other for punishment of an old rebellion), you’ll need to spend some time explaining. Do try to keep the explanations relevant to the moment, though. There are probably other questions that’ll come from answering these questions, but those are the big ones. If you know those, you can probably figure out how you want to represent your world in your novel. So, spec fic writers, how do you usually prefer to represent your worlds? And readers, how do you prefer your fantasies? Slower and rich in detail, or directly to the point with some fantasy thrown in?